All Prices shown are in RMB (Chinese Yuan) and based per person. To help families we offer discounts to all children aged 17 years and below. No reason to leave the kids at the hotel. Ages 0 to 4 years – FREE! Ages 5 to 11 years – 50% off–children must be accompanied by at least two responsible adults. You will be collected from your accommodation at 7.30am or you can choose the best time for you for a wonderful day out Huanghuacheng. Hike westward to Xishuiyu when get on the Wall. 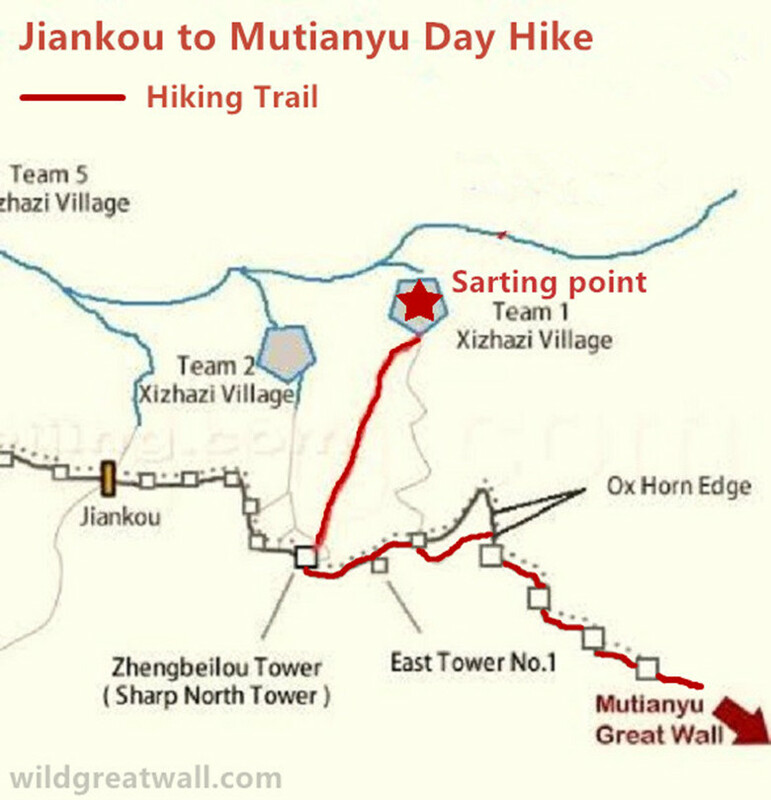 The entire hike is around 2-3 hours or 6km in distance. It is a long climb although the hike is easy. The stairs are sandy and slippery at some parts. Your driver will take you to a local restaurant nearby for a yummy lunch then drive to a country guesthouse near Jiankou. Enjoy a country style dinner at the guesthouse in the evening and stay for night. Huanghua means yellow flowers in Chinese. In midsummer yellow flowers blooms all over the mountain. This area is also a popular spot for citizens who is fond of self-driving trip to fish, camp, picnic, etc. Drive to Jiankou with our belongings (0.5 hr) after breakfast. 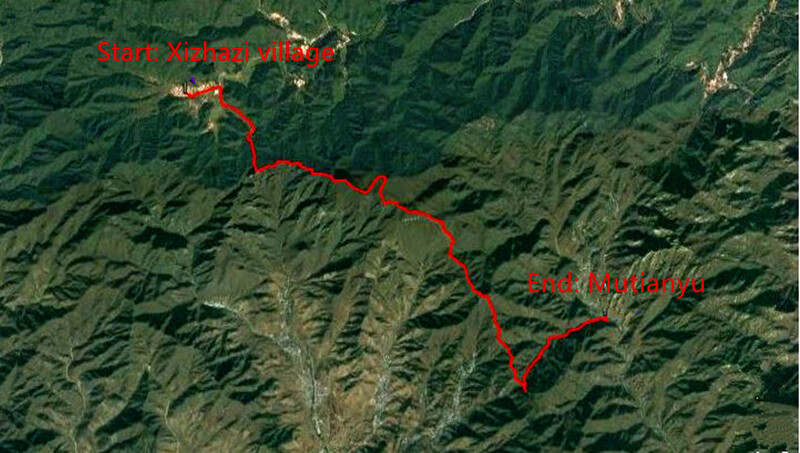 Start from Xizhazi village–around 587m / 1926 ft above sea level. 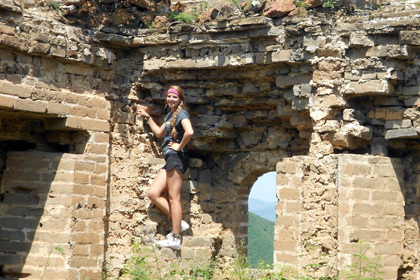 The hike is a decent uphill to reach the ruined tower–around 830 m / 2723 ft above sea level–once leaving the village. Due to the overgrown bushes on Jiankou, you have to walk along the very edge, quite high above the ground. There are a few vertical climbs and scrambles on the wall. 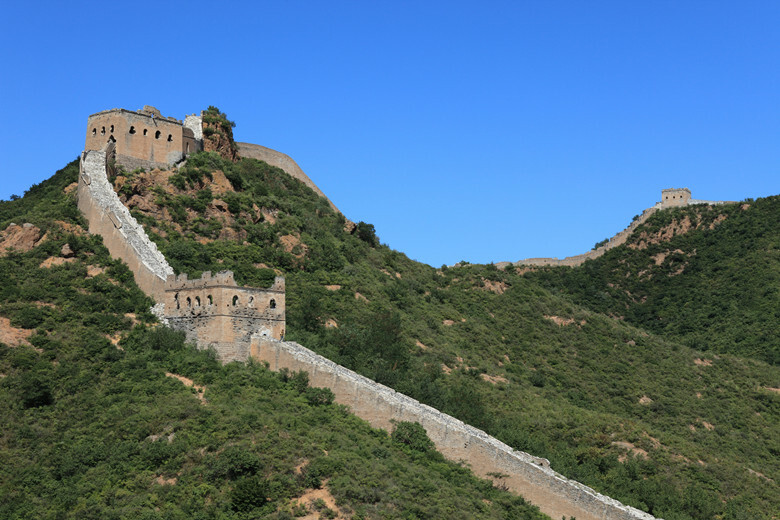 After passing through many towers along the way reach the Ox Horn Edge–about 1011m / 3317 ft above sea level. From there take a forest detour past a campsite. It takes about 10 minutes to walk along the footpath back to the wall. When ending up at the east side of the Mutianyu, either walking down the hill trail or going down by the toboggan or the cable car. The toboggan ride can be as fast as you want or as slow as you want. Mutianyu toboggan ride price is 60RMB during tourist season. It is hilarious experience when riding the toboggan. Have a tasty lunch at a local farmer’s restaurant nearby then drive to a country guesthouse near Gubeikou. Eejoy a country style dinner at the guesthouse in the evening and relax for the night. 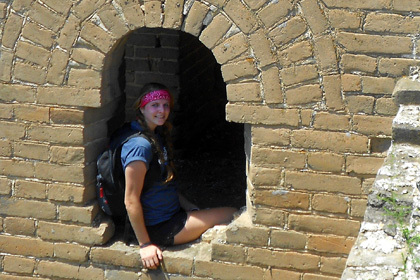 Start the walk with a short climb up to a tower at Shalingkou Pass. 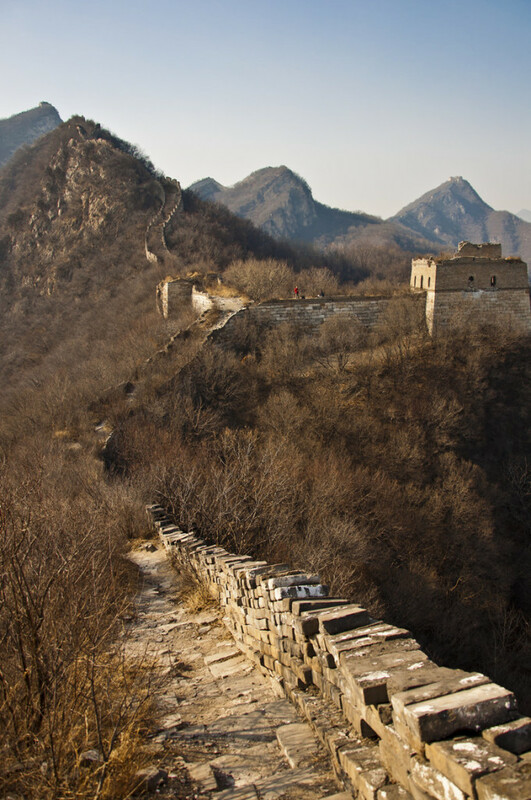 Walking toward Simatai you will pass through several famous towers: Black Tower, Lesser Jinshan Tower, Big Jinshan Tower. The difficulty is moderate and you may need to go up to the ruined towers by hands. Certain parts of the wall can be quite slippery due to loose rock, gravel on steep slopes. Since Simatai East is currently closed, when reaching East Five Eyes Tower (Simatai West), you need to backtrack a short distance and then descend via a newly constructed trail toward a new parking area. A lunch at a local farmer’s restaurant will be organized and then drive back to Beijing. Interested in this tour, any questions? The quickest way to find answers to your questions is to review the most frequently asked questions. If you can’t find the information you are looking for please feel free to contact us.